Stefan Pancer of Law offices, Stefan Pancer P.C. 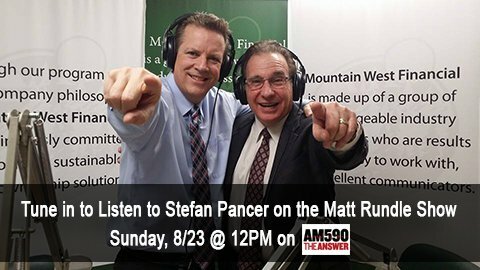 has been invited back to the Matt Rundle show and will be discussing divorce, bankruptcy, and other topics. Listen in this Sunday 8-23-15 at 12 Noon on AM 590.